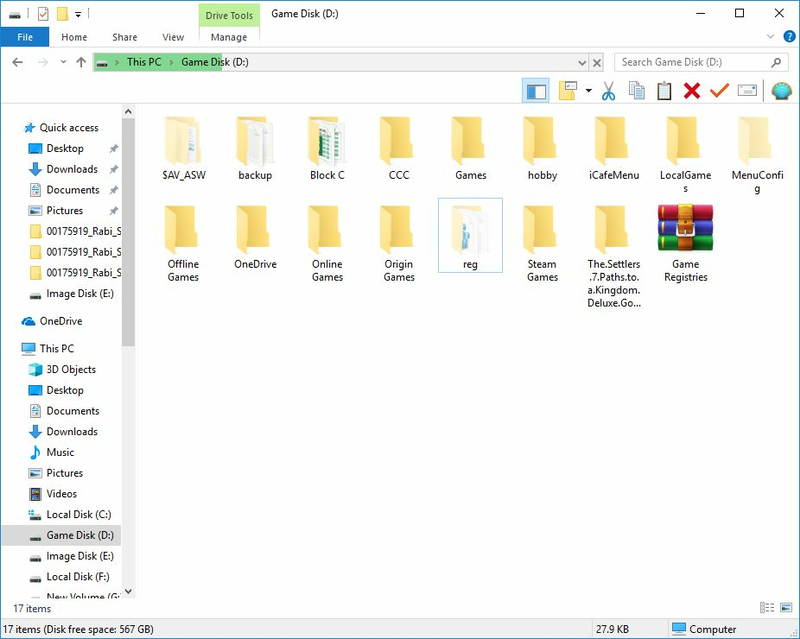 Every game has different registry that stores information such as Game installation directory or game CD key. Game give error for CD Key. Have 1 CD key per computer you have. The solution to fix Game CD key conflict is to have 1 CD key for each computer. how do you have CD key for each computer when all computers are booting from 1 image. Make CD key added to each computer when it boots. To do this you can use a reg files with all the registry entries for CD Key required for the games you have. A sample can be downloaded from here. 1. Download the registry files from this link. 2. Extract it to your game disk (Figure 1). You can rename the registry from the extracted folder to match your IP addresses. 5. Now, turn on your clients and run the games that had CD Key conflicts. They will work without error. Important: You have to add the registry to all the reg files.